The 22-story rocket was filled with rocket-grade kerosene and liquid oxygen propellants, and nothing else stood in the way of launch at 6:05 p.m. EST (2305 GMT). 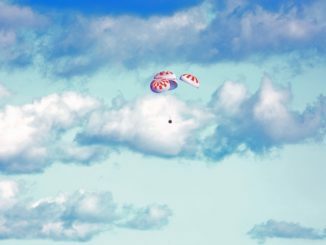 But intense upper level winds were a problem throughout the afternoon, and weather balloons periodically sent aloft continued to show the conditions exceeded the capability of the Falcon 9 launcher’s to safety steer through them. The next chance to launch will come Wednesday at 6:03:32 p.m. EST (2303 GMT), then the rocket will have to wait until Feb. 20 for another opportunity to launch NOAA’s Deep Space Climate Observatory. The DSCOVR spacecraft is heading for an operating post at the L1 Lagrange point nearly a million miles from Earth in line with the sun. The $340 million mission will measure fluctuations in the supersonic solar wind streaming toward Earth from the sun, warning forecasters of possible solar storms that could disrupt air traffic, communications, satellite navigation and electrical grids. “The reason for the gap (in launch opportunities) is that the moon will pass close enough to the trajectory of DSCOVR that it’s gravitational pull could affect the flight,” said Mike Curie, a NASA spokesperson. Weather on Wednesday is forecast to be near-ideal, with less than a 10 percent chance conditions will violate launch constraints. The official forecast from the U.S. Air Force’s 45th Weather Squadron calls for a few clouds at 2,000 feet, north winds at 15 to 20 mph, and a temperature of 56 degrees Fahrenheit at launch time. Winds aloft are also predicted to improve on Wednesday. The upper level winds are not counted in the probability of violating one of the Falcon 9’s launch weather rules. 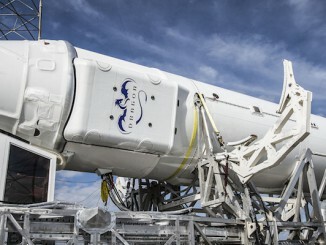 The conditions at high altitudes are considered a variable vehicle constraint, and engineers compute whether the winds will be too much for the rocket to handle based on real-time data collected from weather balloons. The final balloon observation during Tuesday’s countdown showed the high-altitude winds exceeded the Falcon 9 rocket’s loads limit by one-and-a-half times. 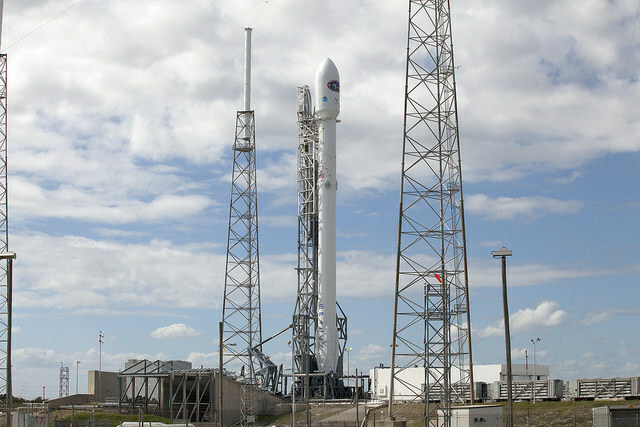 When the DSCOVR mission blasts off, it will mark the Falcon 9 rocket’s 15th flight since it debuted in June 2010. 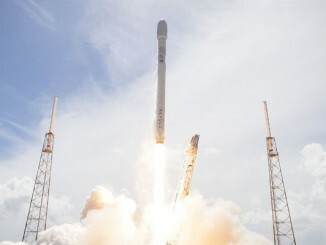 The launch scrub occurred less than two hours before a commercial Dragon supply ship owned by SpaceX was expected to splash down in the Pacific Ocean with 1.8 tons of cargo from the International Space Station, capping a busy day for the California-based space transport company.